Prepare for boarding! Image & Form has announced that SteamWorld Heist is “nearing completion,” and will soon be sent to Nintendo’s lot check for final approval. 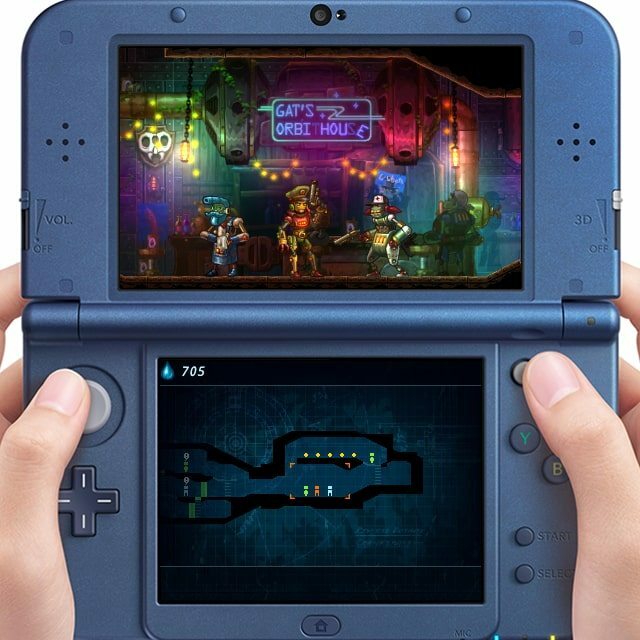 New Nintendo 3DS screenshots accompany the news, presenting the space bar Gat’s Orbithouse and a level in which Piper and Seabrass have been cornered by Scrapper thugs. Their update names Vix Chan and Zilochius Industries as the latest SteamWorld Ambassadors for their entries in the photo challenge, which will see them become the first in the world to play the developer’s robotic strategy title. 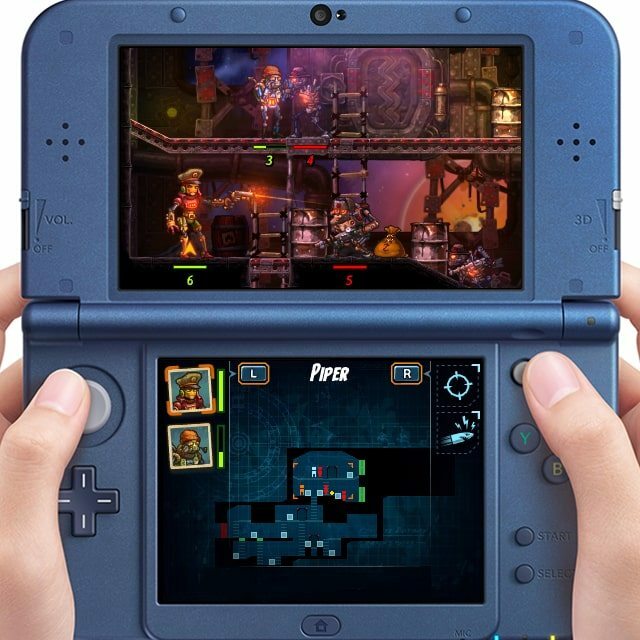 SteamWorld Heist will launch on Nintendo 3DS in 2015, with a Wii U release to follow.